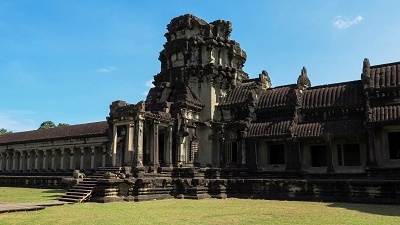 Most nationalities travelling to Cambodia can obtain a tourist visa upon arrival. Processing takes 20-30 minutes and costs USD 20. A passport photo will be required. This visa will be valid for 30 days and may be renewed once from the Immigration Department, National Police in Phnom Penh for another 30 days. The cost of renewal is USD 40. Passport holders from the Philippines, Malaysia, and Singapore can stay in Cambodia for 21-30 days (depending on the nationality) with no tourist visa required. The fine for overstaying is USD 5 per day. Passport holders from Afghanistan, Algeria, Bangladesh, Iran, Iraq, Pakistan, Saudi Arabia, Sri Lanka, and Sudan cannot obtain visas upon arrival and must apply from their home countries before arriving in Cambodia. They also need to show a letter of invitation from a sponsor in Cambodia and a valid return ticket. Working in Cambodia will require a business visa, which costs USD 25 with a validity of 1 month. A job in Cambodia is not a requirement to be given this visa so a business visa holder may look for a job upon arrival in the country. This visa may be renewed indefinitely for periods of 1 month, 3 months, 6 months, or 12 months per renewal. Each comes with a different fee. An application for extension or renewal is done at the Immigration Department, National Police Phnom Penh.